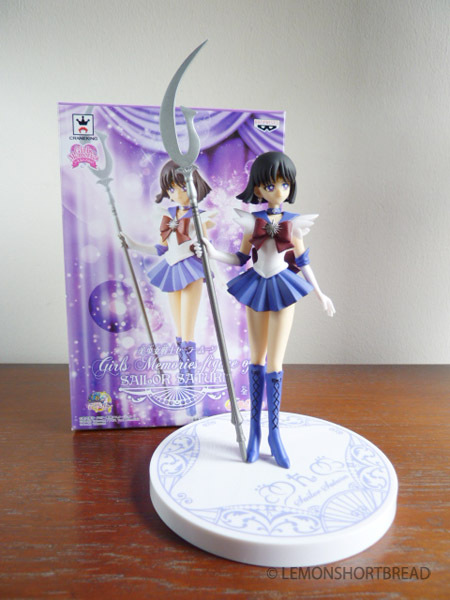 Added another Sailor Scout to my collection, Girls Memories figure of Sailor Saturn, released by Banpresto. 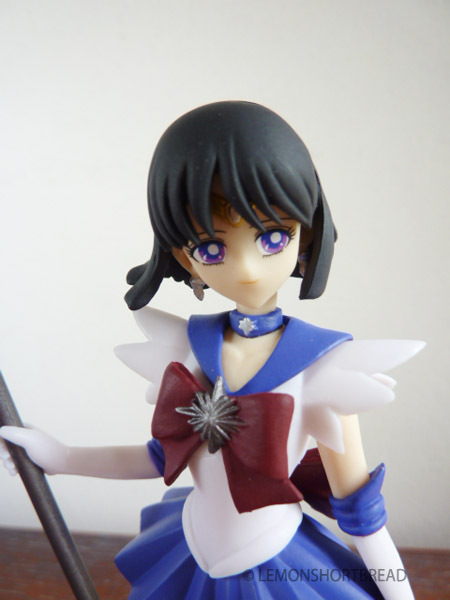 She is my fave character after Moon and Pluto (my blogpost here). 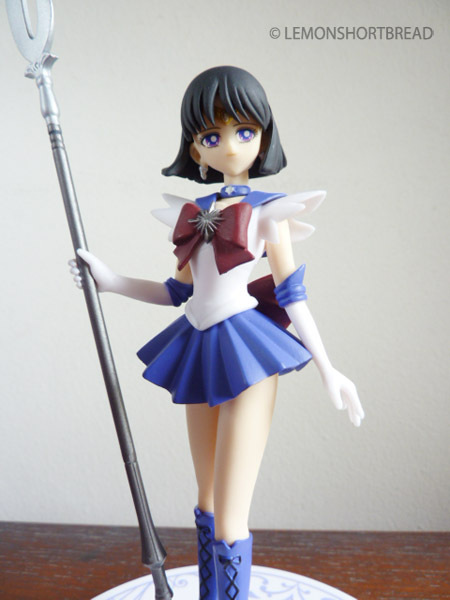 I wish for a Luna Human version please!! 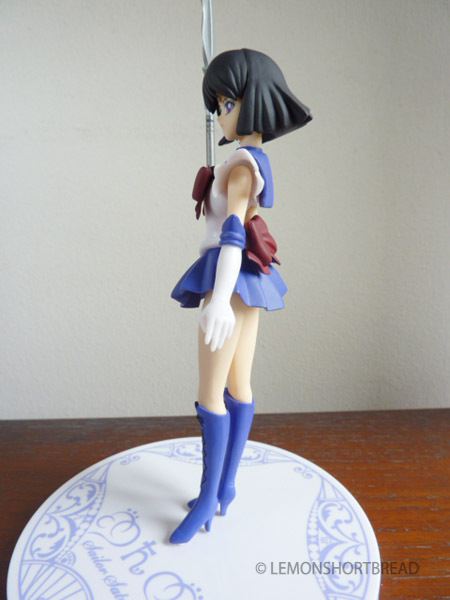 Tomoe Hotaru is the youngest Sailor Scout so naturally she is the shortest of all the characters, besides Chibiusa. Her height is about 14.5cm excluding her weapon. 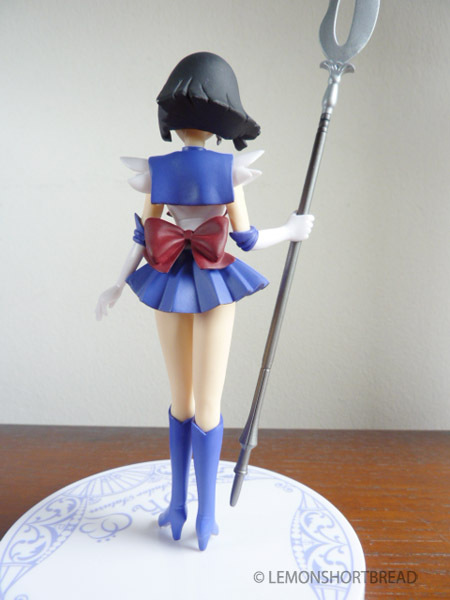 She also weighs much lighter than the other Sailor Scouts because of her smaller size and short hair. 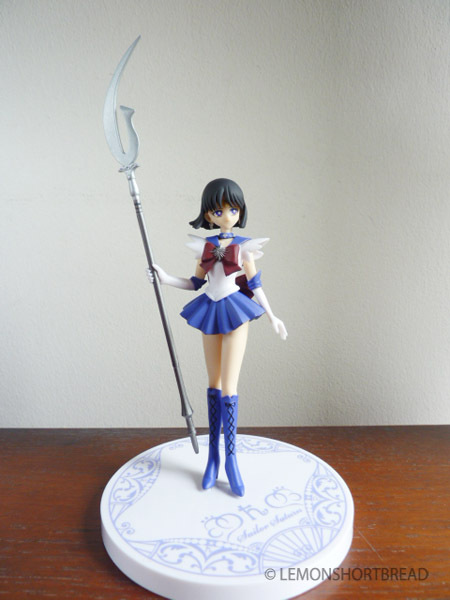 The figure is made of PVC and ABS. Comes in three simple pieces. 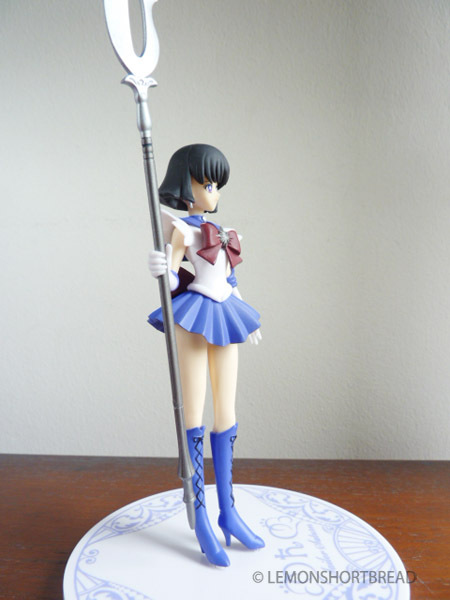 She is nicely sculpted and nothing too out of the ordinary, she is elegantly posed. Her expression is gentle and following the anime version. I love the manga version where she has a bit of a melancholic (sometimes sinister) vibe going on. 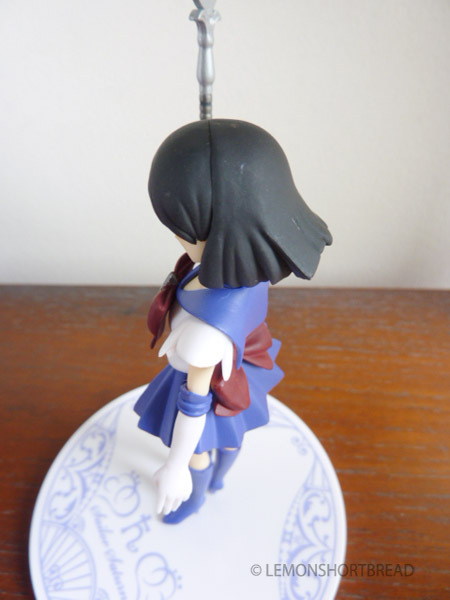 There is a mold line on the hair and looks like it is blowing in the wind which is a nice touch. Her brooch is just greyish silver I would prefer it a bit more sparkly. Yes I will be completing the set slowly, whenever I can get them at a good price. 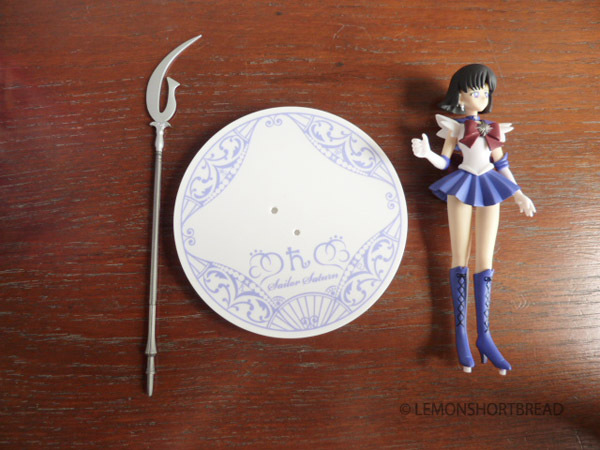 I also bought a Princess Serenity by Q Posket so that will come in the next post!